Garen takes a fine arts approach to commercial photography. His editorial work has appeared in numerous magazines, and he is well known among corporate clients for his technique and client-service focus. 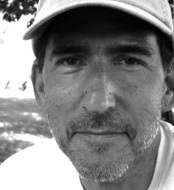 Garen is equally at ease shooting in his studio or on location, and his artistic work has been the subject of several one-man shows. A self-described technology and process improvement evangelist. Since 1997, Bruce has been building attractive, functional, and informative websites for commercial, personal, and nonprofit groups. 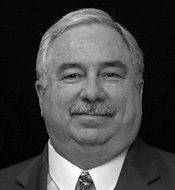 Bruce also has expertise in systems and networks, personal computers, and technical recruiting. Carl is a Yale-trained, board certified editor in the life sciences who has been editing medical materials since 1991. He is an active member of the Board of Editors in the Life Sciences, the American Medical Writers Association, and the Council of Science Editors. As owner and senior editor of TheMedicalEditor.com, Carl works with a consortium of MD- and PhD-level editors to provide high-quality, affordable medical and scientific editing for physicians, scientists, publishers, and industry around the world. Since its inception in 1991, The Medical Editor has donated 5% of all net proceeds to charities that deliver aid and food to sick children worldwide. Scientific Insights provides valuable services in key aspects of development, pre-clinical, clinical and marketing biopharmaceutical products including small molecules, drugs, diagnostic products and technologies. Venti Brands Consulting Group provides owners of emerging and classic brands an opportunity to leverage deep expertise in multiple areas of consumer marketing to unlock the full potential of their brands, including strategic thinking, product positioning and brand building. Venti Brands applies innovative tools and techniques, drawing on direct consumer marketing, digital marketing, health professional marketing, and integrated marketing experience.